Your health will be good and young Scorpio natives will especially remain energetic during this year. Those who are feeling anxious, restless, uneasy and mental disturbed must take extra care of their health in 2019. You may also feel tired physically due to insufficient rest. Ones who are 45-50 years old should particularly remain cautious during the months of June-July and October-November. Those suffering from diabetes, obesity, thyroid issues, ulcer, acidity and cough should not neglect their health, else it may deteriorate. It will be beneficial to do activities like yoga, meditation and walking as per your Scorpio health horoscope 2019. Also, control your diet to keep yourself fit and stop thinking negatively to remain healthy. Eat food that can keep you alert rather than make you lethargic, have a balanced diet of sufficient amount of proteins, carbohydrates, vitamins and minerals to nourish your body. If you take care of your body, it will take care of you. Your health and fitness horoscope 2019 emphasizes healthcare the most this year. Even if you have hectic hours of work, don’t skip meals. Excessive stress can encourage us to binge eat or even choose junk food over healthy food. Since junk food is the fastest and readily available. People usually tend to buy what is easily available especially when they are just too tired to cook after an exhausting day at work. You may suffer from some diseases during this phase, but you will recover quickly. Except during the above-mentioned months, no major health issues are likely during this year. Ganesha also assures that you will recover from any past illness or chronic ailment. Overall, this year is promising on the health front, but it also depends on the position of planets in your horoscope. 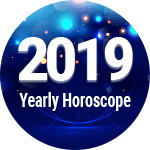 Moreover, if your immunity is good, you will mostly stay fit in 2019, tells your Scorpio health horoscope 2019. Maintain your health to prevent you from health issues, strokes etc. heart patients should take medication regularly and avoid unhealthy food. Scorpio natives should go for regular check-ups even if they are fit and fine. It’s always better to prevent things before it takes place. 1. February, March, June and July are the months that can have negative effects on your body. During these months you have to be very careful. 2. You will be tempted to eat oily street food, but you should control yourself from these habits and switch to healthy eating habits. 1. If you want to lose weight and haven’t been able to do it for a very long time, this is the best time to do so according to Scorpio health horoscope 2019. 2. Don’t let the stress get to you; maintain a well-balanced healthy and happy life. Scorpio Health And Fitness Horoscope 2019 Overall rating: 4.5 out of 55 based on 1208 reviews.